Using a content locker on your WordPress website can be an effective way to grow your email list, gain followers and have your content shared on social media, and even increase your site’s revenue. But what exactly is a content locker, and what plugin should you use to set one up on your site? In this article, we will look in detail at what a content locker is and the benefits of using one on your WordPress website. We will then discuss the different plugins available, and how to choose the best one for your site’s needs. A content locker will enable you to lock particular pieces of your website’s content away so it can’t be accessed by your audience. When a visitor clicks on the locked content, a pop-up will appear asking them to comply with a specific action if they want to view the page or post. The action is usually to enter their email address, helping you to grow your mailing list and keep in contact with site visitors. However content lockers can also be used to achieve numerous other goals. You can use a content locker to improve your social media performance. 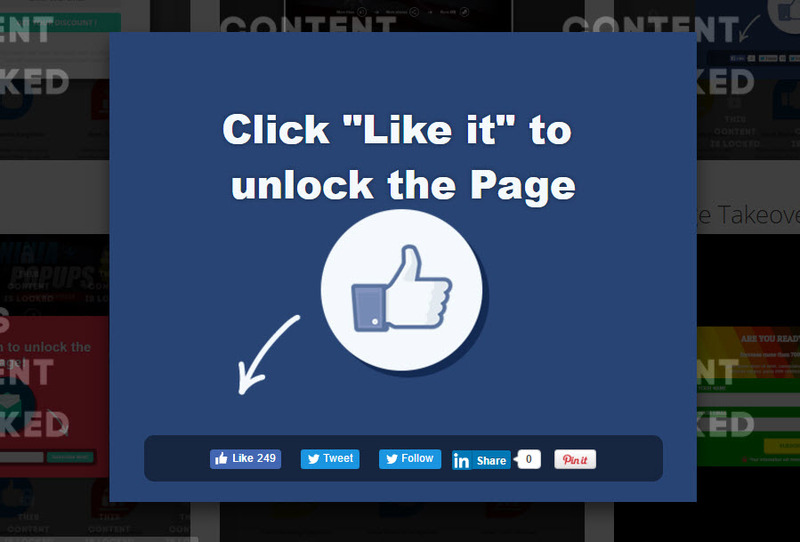 Exchange locked content for a like on social media, or for sharing your content on a particular social platform. Content lockers can also be used to monetize your website, either by helping to encourage visitors to purchase your products or by having them pay for the locked content itself. A content locker can quickly and easily be added to your website using a WordPress plugin. The plugin you choose for your site will very much depend on what you are aiming to achieve. So let’s have a look more closely at the outcomes of using a content locker, and what plugins you can use to help you reap those rewards. As already mentioned, content lockers are most commonly used to grow mailing lists. A pop-up asking a visitor to share their email address in return for allowing them to view particular content can be a very successful way of generating leads. Lock away interesting content, like your most popular blog posts, fun videos, shocking images, informative downloads, or discount codes for products on your site. This type content will act as a great inducement for your audience to part with their email. Collecting email addresses from your site visitors is important because it allows you to keep in contact with them in the future. Through email, you can keep your audience updated on your businesses news, tell them about new content you have published, promote your products, and ultimately entice them back to your site. Using content lockers to collect emails can also have the added bonus of turning visitors into lifelong customers. In exchange for an email address, you can unlock a discount coupon, money off shipping code, or a free trial offer page. Not only do you collect email addresses, but you are also increasing the chances of your visitors making a purchase on your site. OptinMonster includes content lockers as part of their Plus and Pro plans. This lead generation software can lock content for those who are yet to subscribe while showing the locked blog post to those who are already signed up to your mailing list. This will not only help you collect emails but will also mean that your regular visitors receive a great user experience. Instead of adding a content locker to grow your email list, you can just as easily use one to increase your social media following. This works simply by asking visitors to follow you on one of your social media channels in return for access to a piece of locked content. Having your website audience follow you on social media is another great way to keep in contact with your visitors once they have left your site. Social media gives all businesses a platform to promote content, products, and services. So having a large social following can be truly beneficial. 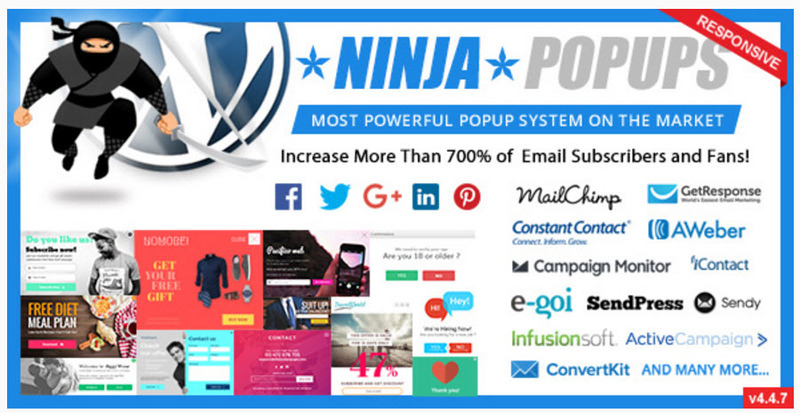 Ninja Popups is a lead generation WordPress plugin providing social lockers, amongst other features. 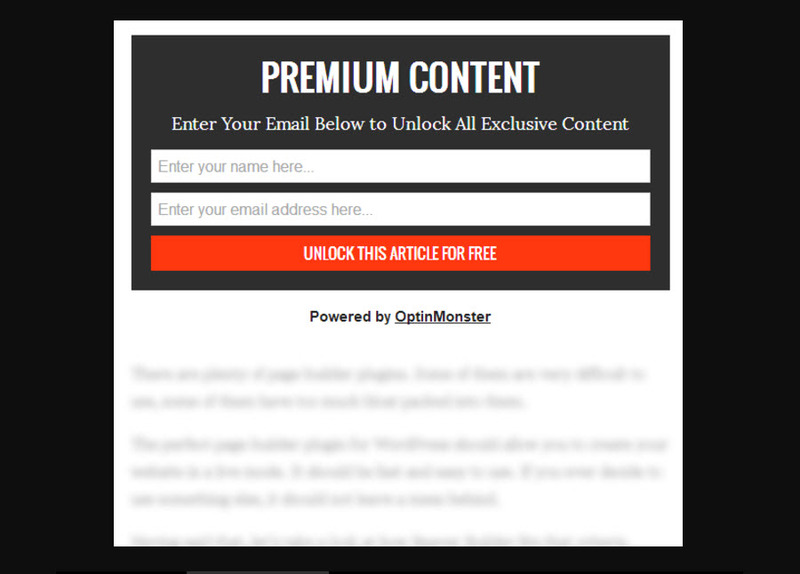 This premium plugin, available on CodeCanyon, allows you to lock content. 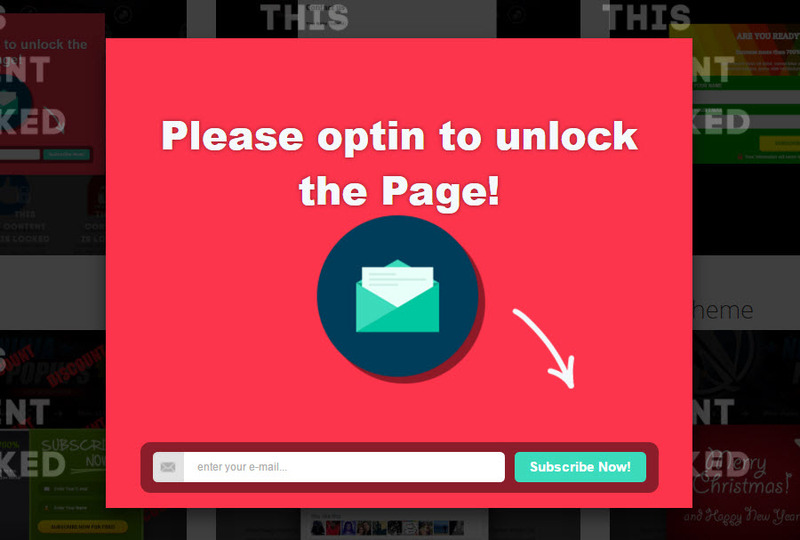 It then adds pop-ups requesting your audience follow you on social media in return for viewing rights. Asking for a follow is much less of an imposition than asking for an email address. It is also a task that will take your audience only a matter of seconds, which may help improve the conversion rates. If you are trying to grow your social media fan base then adding a social locker with Ninja Popups is a must. Content lockers can also be used to get your content shared on social media. Getting your WordPress audience to share your content on their social media platforms will help you reach a wider audience and possibly gain new fans. 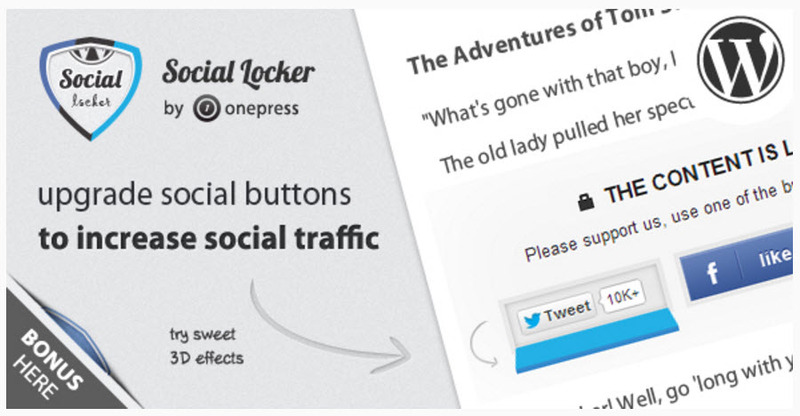 Social Locker for WordPress is a premium social locker plugin. One of its functions will allow you to ask your visitors to share your content on social media. 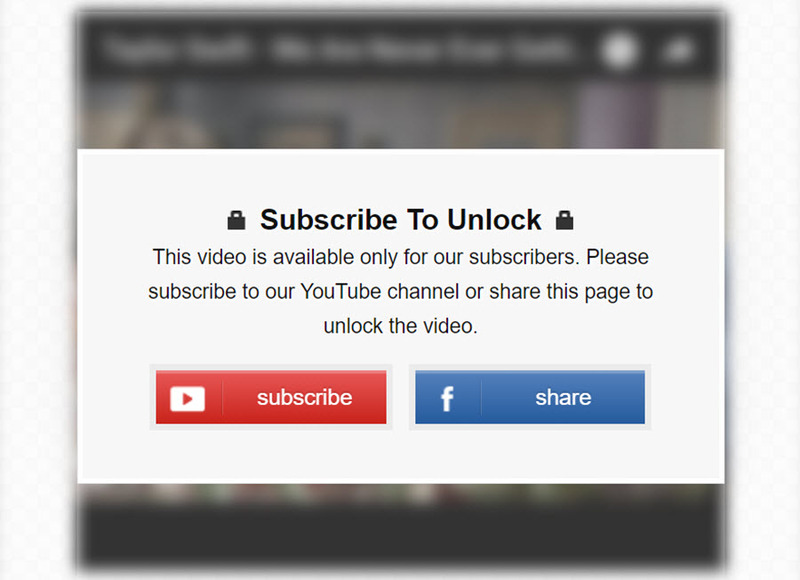 In return, they can view your locked content. Hide away articles, videos, audio, downloadable links, or other interesting content. Social Locker for WordPress will then release the content if a viewer shares a post of your choice on one of their social media channels. Content lockers can be used to successfully monetize your site. If you have particularly sought after content, then charging visitors to view it can be a profitable venture. Pay Per View from WPMU DEV enables you to charge your audience to view content on your site. Lock away specific pieces of content, or your whole site. 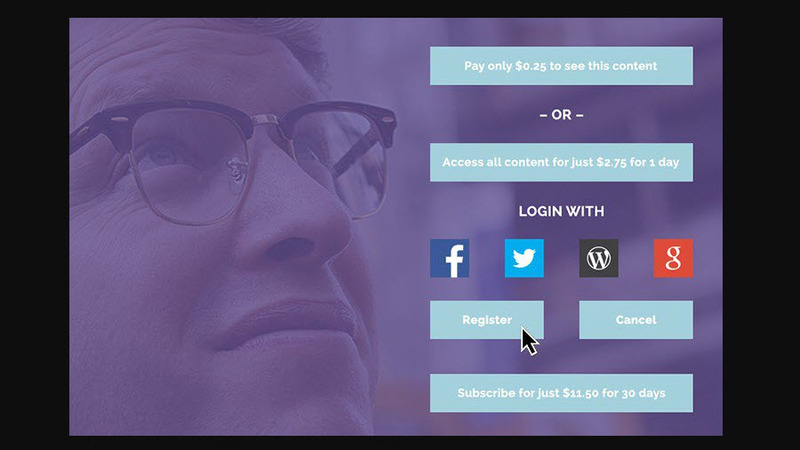 Viewers can then pay a one-off fee or a recurring subscription to access the blocked content. Pay Per View includes Paypal integration and can be purchased as part of the WPMU DEV membership. When choosing a WordPress content locker plugin, make the decision based on your site’s goals. Identify what you want to achieve with a content locker, and then choose the appropriate solution for you. Once you have set up a content locker on your WordPress website, make sure your content is juicy enough to get your audience to bite. You are basically bribing viewers with content in return for an email, a social media follow or share, or a payment. So your content needs to be a big enough incentive to get users to comply with your wishes. Great overview of the best content locker plugins for WordPress. I have friends who use Social locker plugin and they claim to have had success with it.